Jerry has grown quite comfortable driving around in our rented Fiat. It took him about two minutes to get back into the groove of a standard shift car. I would have been traumatized if I had to drive. We spent much of the day yesterday just driving around the central part of the island. For the first time, the morning was not conducive to swimming. So instead we headed up mauka to see the ancient marble quarries. We also spent a leisurely time – until everything closed down at 2 p.m. – in Lefkes, which is the center of weaving and ceramics for Paros. I had a long discussion with the young weaver in the weaving cooperative. She is the last of her generation to weave. Her mother’s generation had 30 weavers but she is the only one of her generation to take an interest. 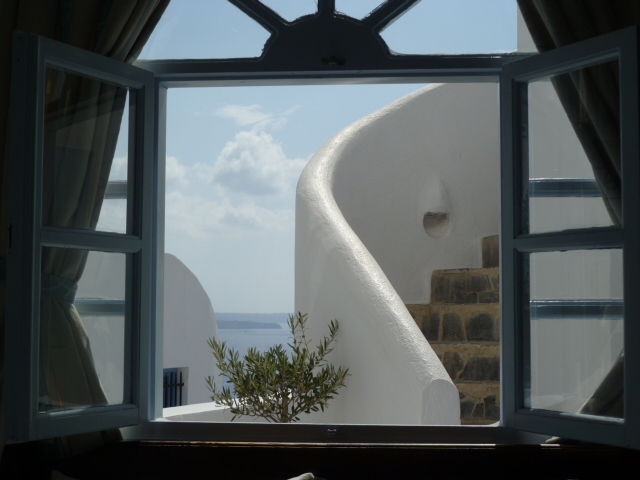 If she does not have sons or daughters who want to weave, the art will be lost on Paros. So sad! We came upon a ceramics and sculpture studio in Yria with gorgeous things. I desperately wish we didn’t have a house full of things. I loved the handsome young Greek’s aesthetic. He does elegant, sculptural cannisters, door knobs, dishes – everything so exquisite. But we resisted, as we really would not have any place to put anything. Sigh. On the other hand, we did buy a beautiful linen tablecloth with an olive motif in Oia. We do have a lovely table that lends itself to seasonal cloths. And I have had great success finding things for friends. Today we are staying close to “home” and painting. Jerry did a superb painting of the Paros House (as I mentioned, it is called “the Hawaiian’s house” on the island), and I’m working on some views of Greek churches and ruins. It’s fun to try watercolor again. More soon. 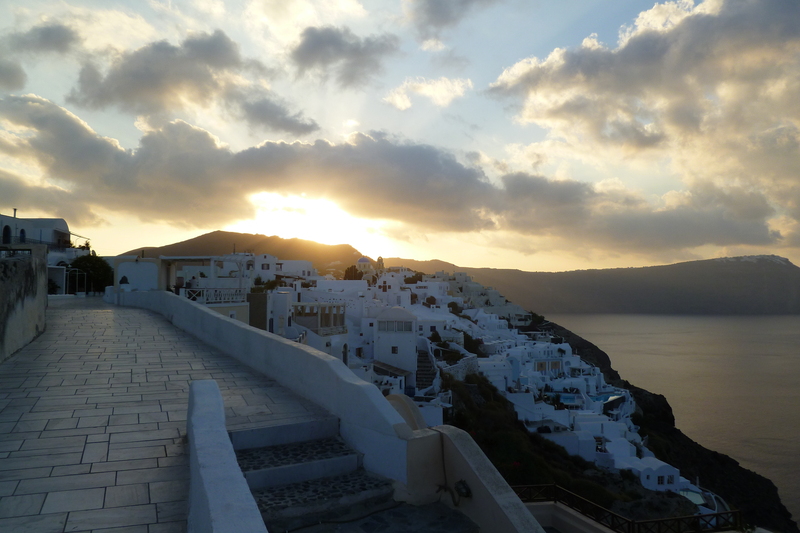 Here are some more photos – a little Greek eye candy. 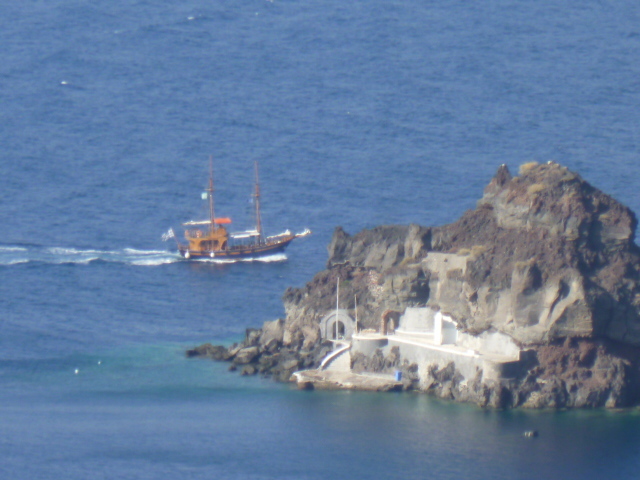 Another view from Kyma Villa, Oia, Santorini. Photo by Jerry Mayfield.